Starting Tuesday, March 16th, 2015, ESET will exhibit at CeBIT – one of the world’s largest computer technology trade shows in Germany. Presenting its next-generation business products that are now globally available, ESET will host its visitors in Hall 6, booth B18. The next-generation business products are being introduced for the first time at CeBIT following months of in-depth interviews and research among ESET business users worldwide. After concerted effort of our design, engineering, development and testing, teams, ESET’s products are ready to deploy to protect organizations of all sizes across the world. Moreover, the new web-based console - ESET Remote Administrator that helps to free-up time of IT administrators by making chosen tasks easy to automate. 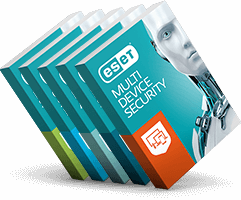 ESET’s IT security products for business offer maximum proactive protection with low impact on company IT infrastructure, as well as come with a wealth of new security features, such as Botnet Protection, Exploit Blocker, Anti-Phishing and Anti-Theft. “We are very happy to be part of CeBIT for more than a decade now. We invite everyone to get a first-hand look at our next generation products to protect businesses. I would like to extend our invitation especially to our business partners, as no CeBIT could be called a success without them,” says EMEA Sales and Marketing Director Miroslav Mikus. Along with the presentation of next-generation business products, ESET put special emphasis on its re-seller, partner network and distributors. During CeBIT, ESET will host re-sellers, partners and distributors in its booth dedicated for partners, where they can meet team from ESET Germany, including our very own Maik Wetzel. Maik was chosen by the readers of German CRN Magazine as the second best channel manager of the year in the country. At our booth, ESET has prepared a number of German-language presentations not only about the new business products, but also trending topics such as IT security and the latest in cyber-threat by Thomas Uhlemann, Security Specialist at ESET Germany.